What others thought about "Frankenstein"
Mary Shelley's "Frankenstein" is the story of Victor Frankenstein, a young scientist who through a strangely unorthodox experiment creates a grotesque yet sentient being. Victor, repulsed by the thing that he has created, abandons the monster. The creature in turn saddened by this rejection, departs as well. What follows is a series of tragic events. 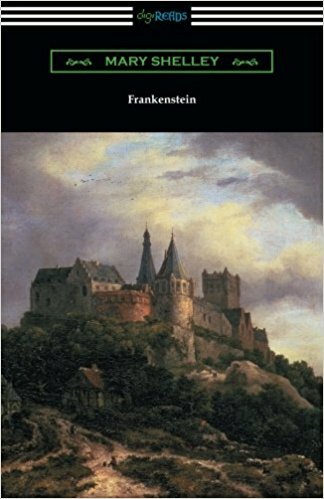 There is no greater novel in the monster genre than "Frankenstein" and no more well known monster than the one that is at the center of this novel. However, the monster of "Frankenstein" is more than the common lumbering moronic giant that is most often represented. Frankenstein's monster is in reality a thinking intelligent being who is tormented by a world in which he does not belong. In this depiction Shelley draws upon the universal human themes of creation, the nature of existence, and the need for acceptance. For it is without this acceptance that the true monster, the violent nature of humanity, emerges. This edition is printed on premium acid-free paper and includes introductions by Sir Walter Scott and Mary Shelley.